Will the Permanent Court of Arbitration be able to “strike down” China? 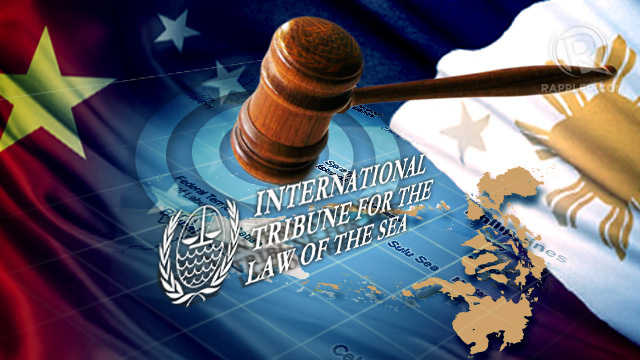 The Permanent Court of Arbitration (PCA) has ruled that it has sufficient jurisdiction over the case of the Philippines against China in the dispute in the East Sea (internationally known as the South China Sea). The next hearing will take place from November 24 to 30 in The Hague. VietNamNet’s Hoang Huong talks with Dr. Zachary Abuza, an American independent analyst who writes on Southeast Asian politics and security issues. Observing the developments at the recent APEC Summit 2015 in the Philippines, what do you think about the relationships between China and the host country Philippines in terms of territorial sovereignty? Of course China wants no discussion of the East Sea at APEC. It has always been afraid of multilateralizing the issue. And unlike ASEAN meetings where it can keep some of it off the table through its influence over Cambodia and others, it has no such leverage at APEC. I think President Obama has made clear that it will be on the table. His ship visit to a Philippine naval vessel and announcement of $250 million in maritime assistance to Southeast Asia, including $79m to the Philippines, $40m to Vietnam and $21m to Indonesia, has set the tone for the meeting. The Philippines has said that it will not directly raise the East Sea at the meeting, but it certainly will not be unhappy if the US does. How has the role of the two sides changed after the first hearing? Is it a good sign for the Philippines when the Permanent Court of Arbitration ruled that it has sufficient jurisdiction over the case of the Philippines against China in the dispute in the East Sea? China's strongest arguments were those in which it challenged the PCA's jurisdiction. But now that the court ruled that it has standing in the case. I and the opinions of almost every other international law expert I have read, indicate that China is likely to lose on almost every issue in the second phase of the proceedings, the merits of the case. China's position simply has no basis in international law. They are constantly trying to evolve international law to support their view and the facts they have established on the ground. China has suffered many setbacks in terms of its Southeast Asia policy recently. But not entirely. It still holds sway over Cambodia. Today there were reports of progress in joint off shore oil production with Brunei. And of course, China continues to be a driver of regional economies, especially Indonesia. So even though I look to all of these setbacks, that does not mean that China is going to change its policy. Indeed, I think that they will accept these setbacks, and continue with their policy. You said: “The PCA will hear oral arguments on the merits of the case from November 24-30. And it is widely expected that they will rule in favor of the Philippines”. Who expects this besides the Philippines? Do you know that China claimed they “will refuse or will not be affected” by the court’s decision? Look, great powers have ignored the rulings of international courts before. The US is a perfect example, when it tried to avoid the ICJ's jurisdiction in the suit filed by Nicaragua. The US paid a very heavy price in terms of its public image as the standard bearer for the rule of law. It looked like a bully in the eyes of many. My guess is China will simply ignore the ruling, and accept the damage to its international reputation, hoping that if it remains the driver of regional economies and it begins to supply more collective goods, that will ameliorate the situation. I'm not sure. The US had a track record over four decades. Moreover, China really seems to be trying to change international law, not just flout it. Dr. Zachary Abuza taught political sciences and international relations at the Simmons College, Boston and national security strategy at the National Defense University in Washington, DC. He advised the US government and companies on issues of Southeast Asia. 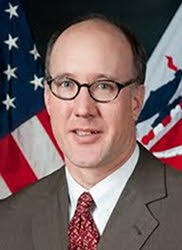 In 2004-2005, he was a senior fellow at the US Institute of Peace in Washington, DC. He worked on the insurgency and terrorism, political risk, governance and democratization, and political economics. He is the author of the books “Conspiracy of Silence: The Insurgency in Southern Thailand” (2008), “Political Islam and Violence in Indonesia” (2006), “Militant Islam in Southeast Asia” (2003), and “Renovating Politics in Contemporary Vietnam” (2001).